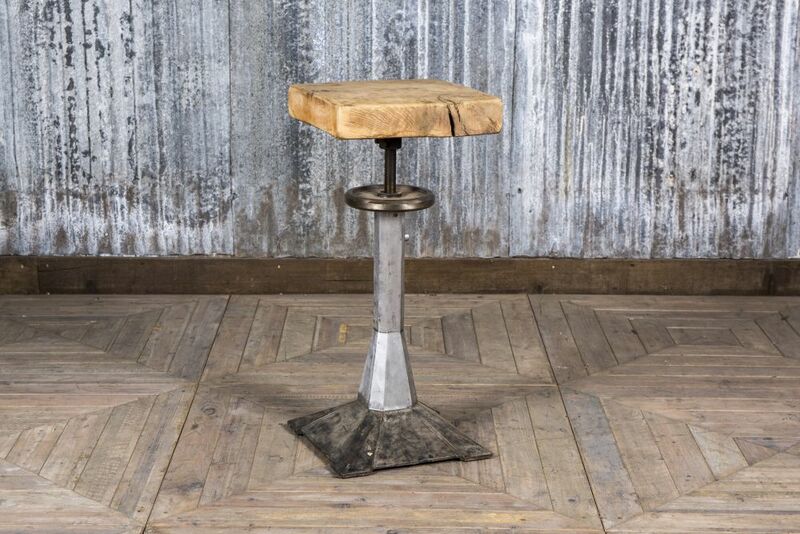 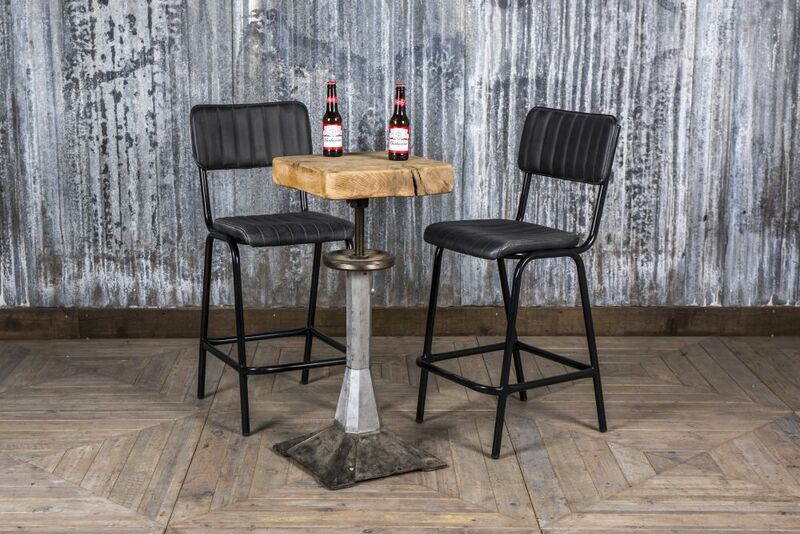 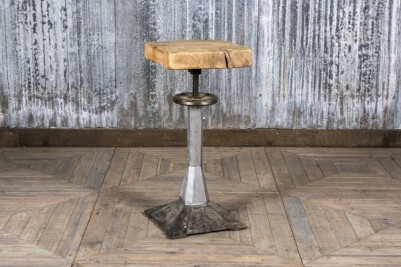 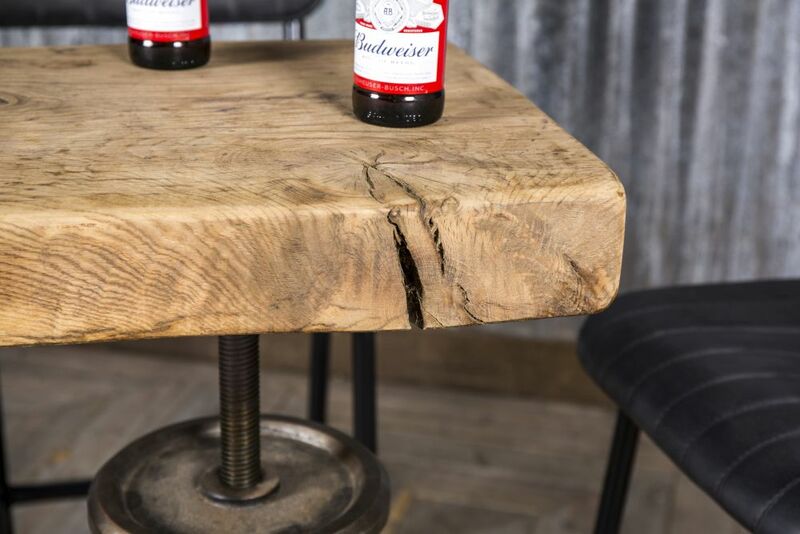 This vintage adjustable bar table is an ideal piece of furniture for a bar, pub or restaurant. 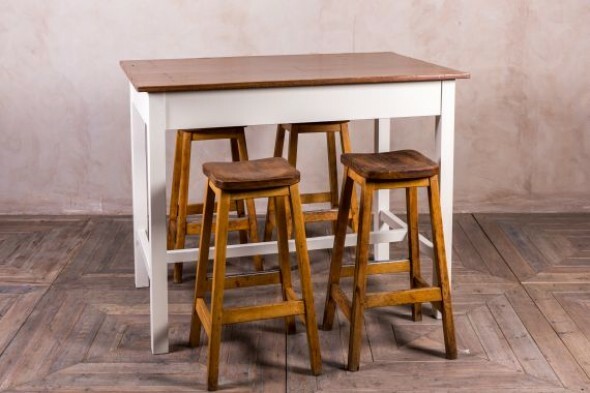 Alternatively, it would look equally good as a standout feature in an industrial style home kitchen. 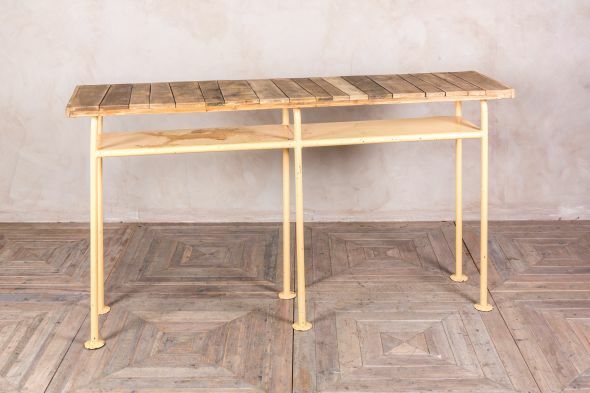 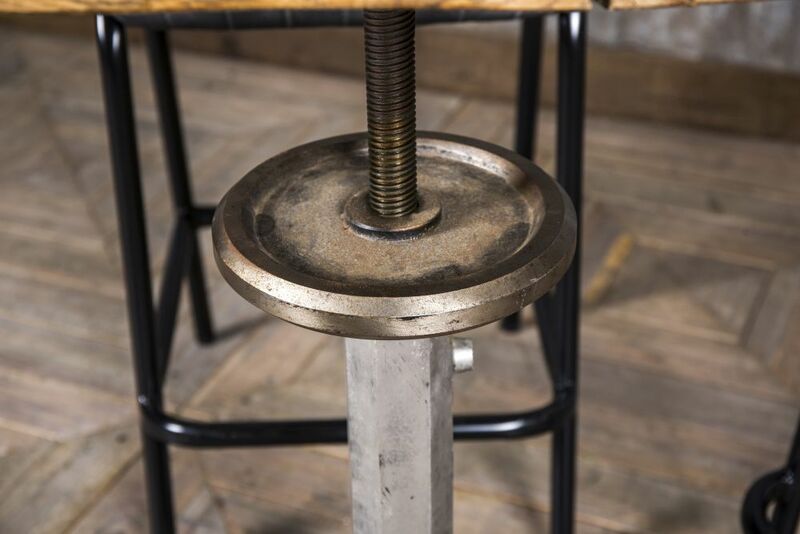 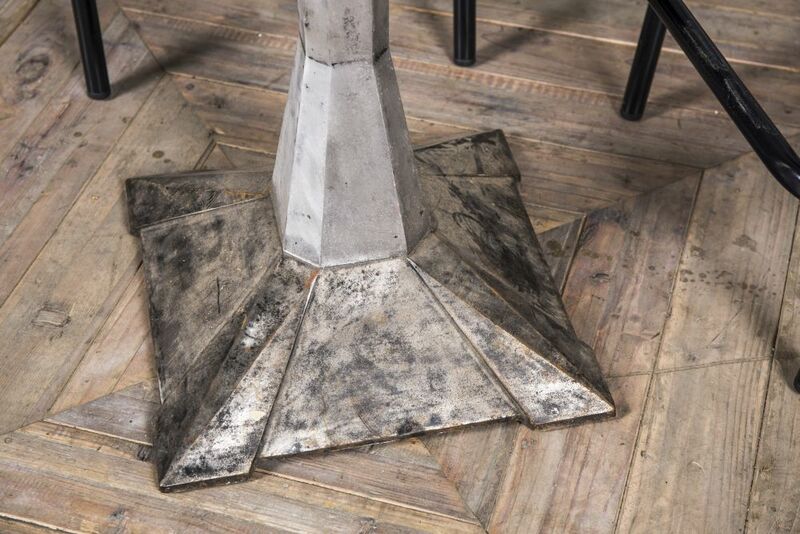 The table is a unique item; it features a metal pedestal with a distressed finish, and a screw mechanism that allows you to adjust the height of the table top. The table top is made of chunky wood. The table could be paired with bar stools or chairs, depending on the height it is adjusted to. 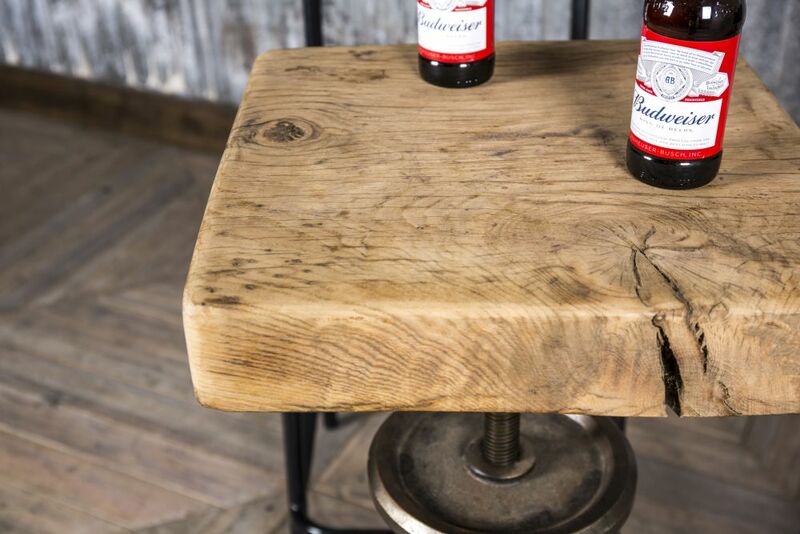 This gives the option to change up how it is styled in your home or business, and the opportunity for it to look like a completely different piece of furniture. As this table is an original vintage item it will show signs of wear and tear consistent with its age. 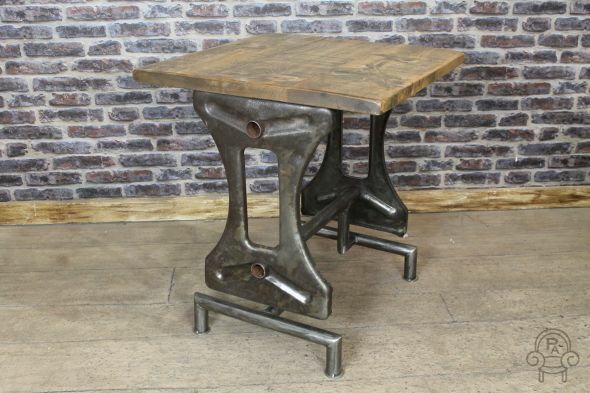 We feel that this only enhances its industrial character.